Most of us, when buying a car, do not examine the details of the engine, trusting it is in good shape and functions well. But the engine is, undoubtedly, the most important part of the car. The same for a business. Usually, we focus on what a business does or sells, but there is always the “hidden” work that keeps the business functioning well. These past few weeks have contained more of the ‘engine’ work to keep BFF running and enabling us to send out web pages to the world. Do I have a treasurer doing my accounts? No. Do I have a secretary helping with administration and bookings? No. The BFF Annual Business Meeting occurs this Wednesday. Lots more work for me. Fortunately, I have tweaked things so that preparations for such reports and quarterly filings do not take as much time, but it is a distraction. Sometimes it requires extensive mind-boggling interactions with figures. There are upsides too, such as being able to look back and see what God has done, as well as meeting up with the board members and receiving their encouragement and direction. The BFF engine is one. What is the other one? I have agreed to take on a part-time Interim Pastor position for our congregation while we search for a full-time pastor for the Oakland International Fellowship. I have had to get lots of planning done for the next six months so that we can function properly. Fortunately, the elder from our congregation will be handling much of the management over small groups and discipling, allowing me to focus on the preaching and teaching ministries. “The LORD is my light and my salvation” (Ps 27:1). Several people have asked, “How can I handle both?” The fact is that I have, through the years, been doing a good amount of the work at church leading the teaching team, so there is no extra effort there.In fact, we have five great teachers.I will, however, be preaching much more. But even still, God has arranged it so that the efforts I put into preaching and teaching at OIF often have resulted in resources for BFF. To be true, even with the overlap, much more work still has to be done to form web pages or make training videos, but I have in the past been easily able to combine my efforts and expect that ability will continue. 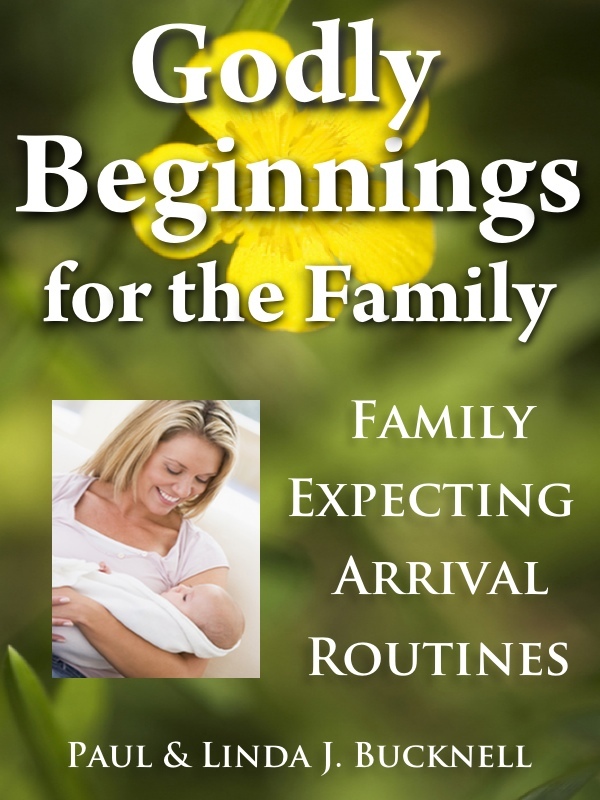 Godly Beginnings for the Family, is all updated and ready for preorder! This was one of our first books and needed a lot of updating. 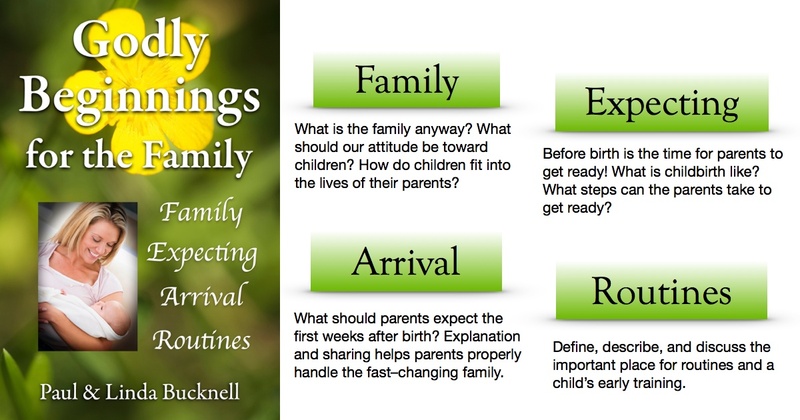 Linda and I use our experiences of raising eight children through the pre-birth, birth and post-birth stages to help new and young parents raise godly children. Start right, end right! The book on healing is written and is now being edited; the other upcoming book is almost ready for editing. Praise God for how He has graced Kathryn with lots of jobs so her school bill should paid for this coming semester (though we need to pray for the spring semester too!) Her new job is helping to care for twins (which she loves doing). Thank the Lord a contractor is lined up to repair some large outside house jobs. BFF’s board gets together this Wednesday, July 20th. Much has already been accomplished from this summer’s intense writing and editing, but there remains another month of active work. Wisdom to prepare schedules, launch a preachers’ training class, and intertwine the two schedules (OIF with BFF) in the upcoming weeks. Final guidance for my mid-October East Asia BFF training trip. A pastor from Nigeria wrote saying he desperately needed help as his own pastor had very suddenly died, and he was appointed to take over. He was extremely glad for free BFF resources.